"In all things God works for the good of those who love him." One thing I love to ask people about is their dreams. I love listening and watching as they open up and tell you their vision and passion. What they want to do with their lives, see happen in the world. What they live for. I love seeing people dream BIG. Not in a fuzzy, day-dreamy way, but in an active, spirit-filled, life changing way. Living in all that Jesus has done for us. 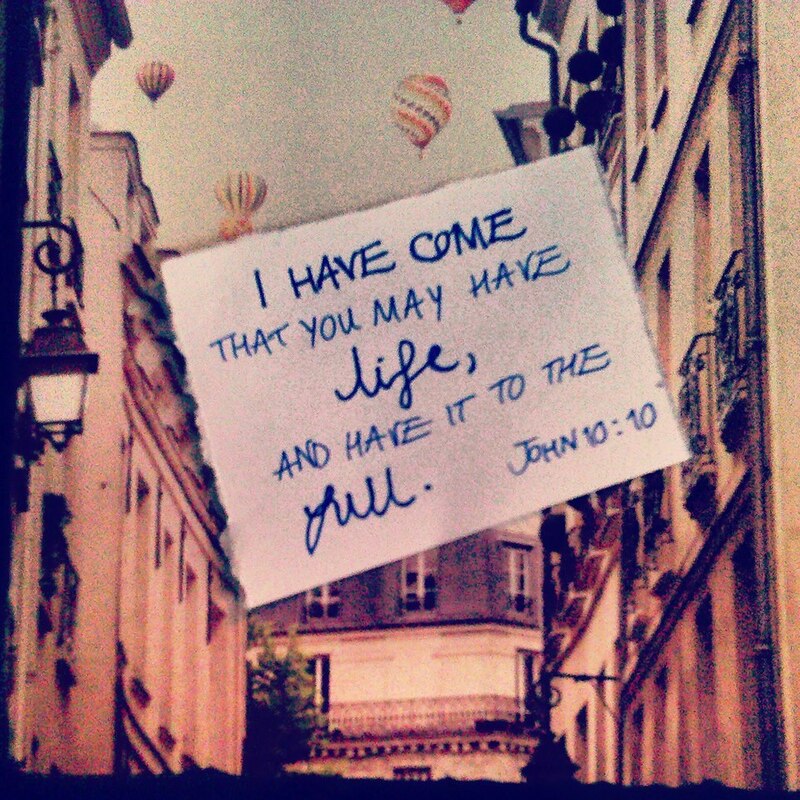 What would life in all its fullness look like for you? Life without limitations? This doesn’t mean we all need massive world changing dreams right now, it means asking God what he thinks about each day, where will it go? But also, what dreams do you have for your life? Big and small! You don’t have to know what direction you want to go in for the rest of your life, and dreams can change along the way, but what do you hope for? What injustices do you long to see change? What are the little things you look forward to every day? What things bring a smile to your face? What relationships, achievements, holidays and places, experiences or professions do you dream of? You may be thinking that it’s very well having these big dreams for my life, but things like that just don’t happen to me! We must remember that Jesus died for us to take care of our insecurities, and he rose again to give us life in all its fullness. And our Father God is GOOD. He is so good all the time. Just read the book of Psalms, it is full of the praises of his people shouting about how good he is! So if God is always good, and you are his beloved child who has been set free, could you dare to dream? Write a list of dreams, aim for 100, and see what God will do. There’s something significant and so exciting about writing down all your dreams! For a little bit of help, Dream Culture have given a list of questions to get you thinking about your dreams. A dream that I’ve always had is to see the Northern lights... and also, to have children...preferably not at the same time as watching the Northern Lights, but you never know! Another little one that got on to the list was to see Mumford and Sons, and a week after writing it I got tickets for the summer! If even our little dreams are precious in God’s eyes, think how much more he will honour our prayers and dreams to see friends come to know Jesus, or nations changed and wars ended. He longs for us to delight in Him, and to ask him to answer the good desires of our hearts.